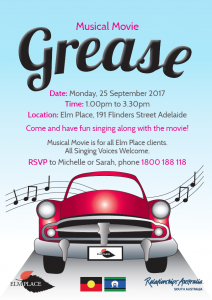 Join us to sing along to "Grease" - the movie musical! Monday 25th Sept 1pm-3.30pm 191 Flinders Street Adelaide All singing voices welcome!!! Refreshments provided. This is a FREE event. 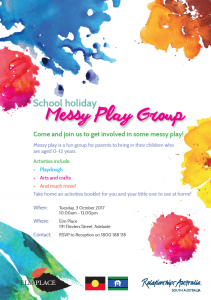 Come get involved in some Messy Play at Elm Place! Parents, grandparents, aunties, uncles and care-givers are encouraged to bring in their children aged 0-12 years. Activities include: Play dough Painting Colouring And much more! Tuesday 3rd October 10am-12pm Snacks provided. 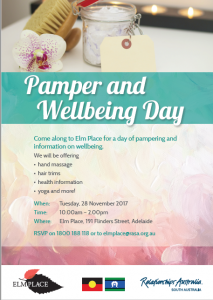 RSVP to 1800 188 118 or elmplace@rasa.org.au This is a FREE event. Save the Date! 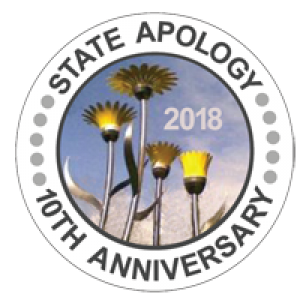 National Sorry Day in the North will be held on Friday 25 May, 2018. We look forward to sharing more details with you soon. Elm Place will be there with more healing. 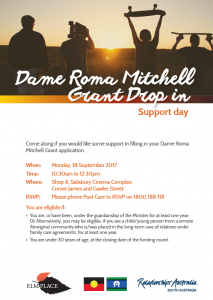 If you’re 16 – 30 years of age and are currently or were under the Guardianship of the Minister in SA for 6 months or more… we would love to chat to you about applying for Grants! 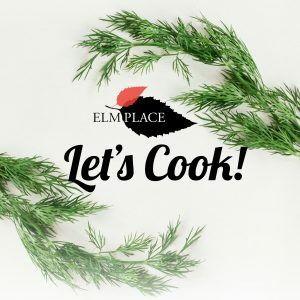 Elm Place is hosting a cooking activity at our Salisbury site. 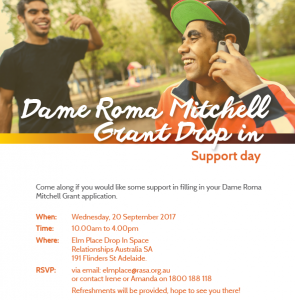 Come and create a yummy meal and tell us how we can improve Elm Place services at Relationships Australia SA. This activity is for clients of Elm Place only (children must be over 14 years of age). All ingredients provided! 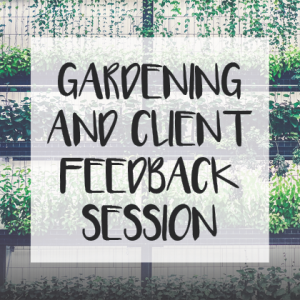 RSVP to elmplace@rasa.org.au or 1800 188 118 by Monday, 28 January 2019 along with any dietary requirements.